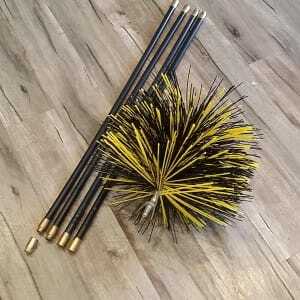 At Busy Bee Brushware, we can design and manufacture a brush to suit your particular application. We have a small manufacturing facility in Dandenong South Victoria, and we pride ourselves on the ability to provide specialist brush design advice, quality workmanship and fast turnaround. We can handle small and large batch quantities. Our machine technology available allows us to produce twist wire brushes, punch and staple brushes, strip brush… and even the old-fashioned hand drawn brushes. We use a range of fibre for our brushes, including Polypropylene, Nylon, Brass Wire, Stainless Steel Wire, Polyester, Polyethylene, Horse Hair, Tampico, plus a range of specialist fibre. Ideal for weather and draft seal, pest vermin and bird seal, Computer room cable management, Industrial machinery, Conveyor cleaning. Great for your Home, Garage, Shed, Office or Factory. 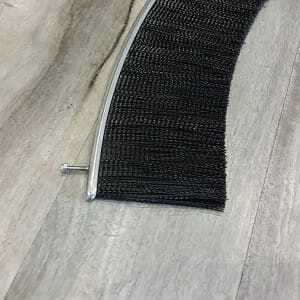 Our Strip Brush and Door Seals are made with a rigid back in 2 sizes, 4mm and 9mm, fitted into a range of Holders that allow you to fix to any surface and seal any area. Made in 3 metre lengths, they can be cut to size for your specific needs. 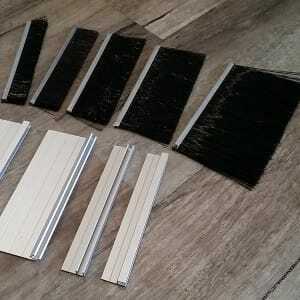 We are the specialists in manufacture of Flue Duct and Chimney Brush Kits, as well as supply direct to the Professional Chimney Sweep industry. We also provide individualised kits for cleaning Coffee Roaster Flues. If you have a flue that needs cleaning, we have the brush for you. 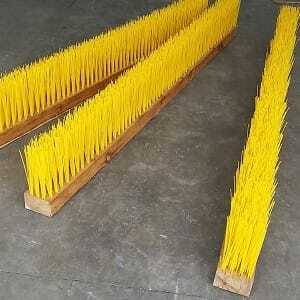 We have an extensive range of Tube Brush and Bottle Brushes available for single or bulk purchase, for the Food/Beverage Manufacturing industry, Pharmaceutical Laboratories, and Printing industries as well as many other industries. 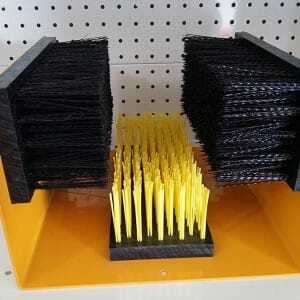 We have twisted wire brushes for drills, Punch Brushes in strip, block or disc for a range of applications. Our range of tennis court brooms and dew brooms are great for professional grooming of tennis courts and golf greens, bowling greens, any turf. We also provide a refill service for many Sweepers and road brooms. 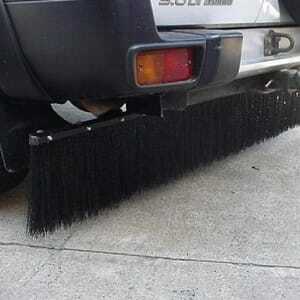 Busy Bee has developed a brush system that can be mounted on the rear of your 4WD vehicle or under your caravan, to assist in damage prevention while towing. It acts as a secondary line of defence against stones and bounce-back and can protect your pipework and under-carriage. We supply a range of engineering thermoplastics. We sell Plastic sheet and Rod, and offer cutting and routing, machining service at competitive prices and fast turnaround. 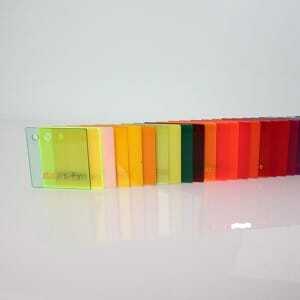 We stock Polycarbonate UV2 Sheet, Acrylic, HDPE, UHMWPE, PTFE, Nylon, Acetal, and other speciality plastics. We can help you with design drawing; reverse engineering; we can work off your DXF file, and we are happy to give you advice for your particular application. No job is too big or small.